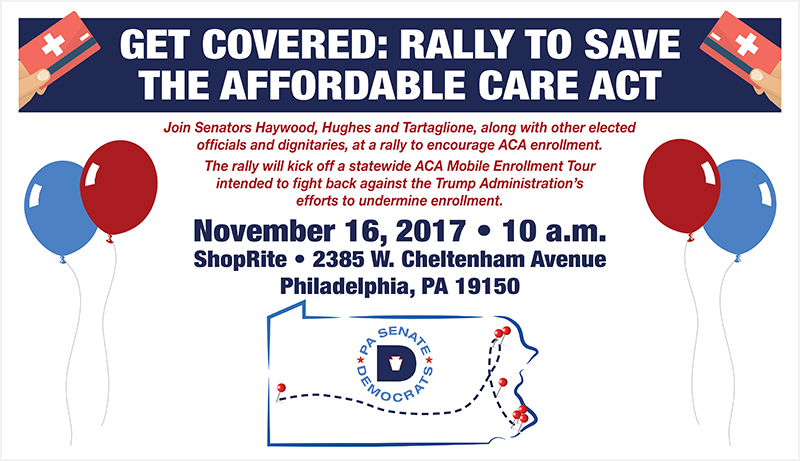 PHILADELPHIA, PA – November 14, 2017 – The Pennsylvania Senate Democrats’ ACA Mobile Enrollment Tour will make a stop in Philadelphia on Tuesday, November 21. 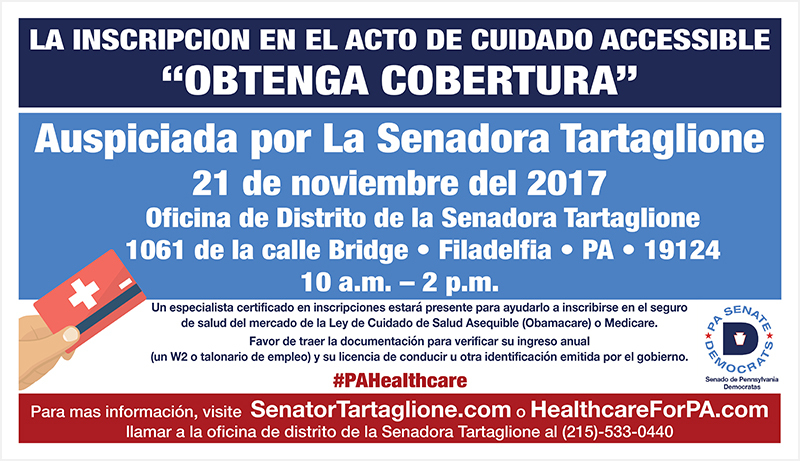 Constituents can come to enroll in the individual insurance marketplace or Medicare. Enrollment experts will be there to answer any questions and guide users through the process. Media is encouraged to attend at any point through the day. 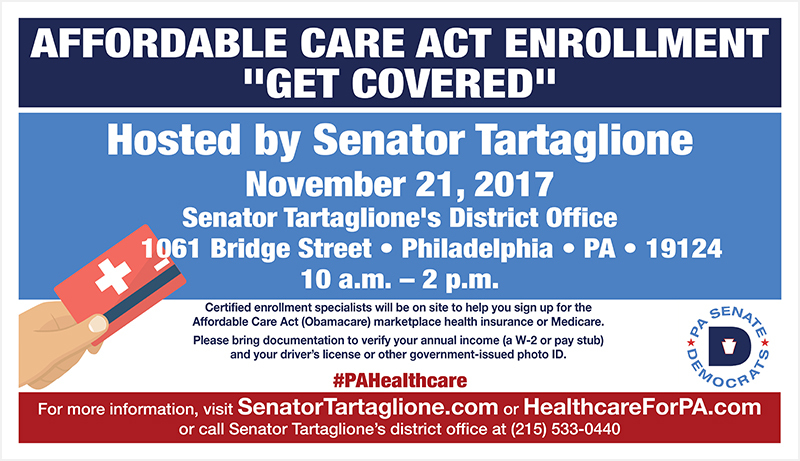 The Senate Democratic Caucus has undertaken this enrollment effort after the announcement that the Trump administration would shorten the enrollment period, eliminate its marketing budget and limit working hours on Sundays.